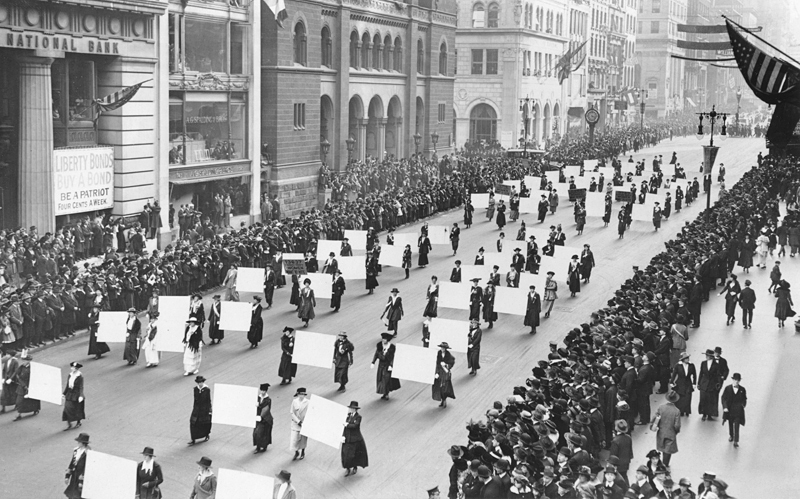 The movement for women’s right to vote, along with movements for civil rights for African Americans, formed one of the largest non-violent campaigns for human rights in U.S. history. 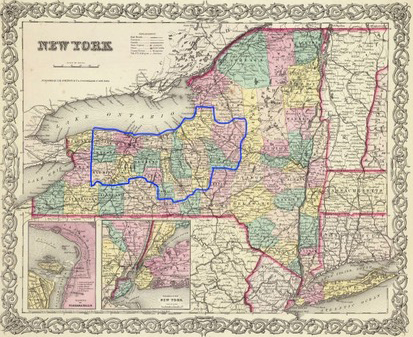 Central New York was nationally important for this movement. We all know about Susan B. Anthony, Matilda Joslyn Gage, Elizabeth Cady Stanton, and Harriet Tubman. But what about the thousands of other suffragists, women and men from all ethnic/racial groups, cultural backgrounds, economic status, and geographic areas? Help us document the whole story! To commemorate the centennial of legal women’s suffrage in New York State (1917) and the nation (1920), many people in central New York have already done amazing work. This survey will add to current knowledge by identifying historic sites associated with women’s suffrage in sixteen counties in central New York (Cayuga, Cortland, Genesee, Livingston, Madison, Monroe, Oneida, Onondaga, Ontario, Orleans, Oswego, Scuyler Seneca, Tompkins, Wayne, Wyoming, and Yates). Central New York Counties that form the area for this survey are outlined in red. Charles Colton, New York (1856). We define the women’s suffrage movement to include precursors before 1848, organized efforts from 1848-1920; and implementation from 1920 to the present. Results will include a database, a historic context statement, and a bibliography, with a list of sites for possible nomination to the National Register of Historic Places. Sponsor: Ontario County Historical Society (Ed Varno, Director). Funding: Preserve New York. Project Director: Judith Wellman, Historical New York Research Associates. Database Manager: Dana Teets, Nazareth College. Advisory committee: county historians and others. Locating sites for this project is crowd-sourced. We invite anyone to join us. The story is not over. Voting is still a key issue in America. Please encourage everyone to vote! (http://www.elections.ny.gov/votingregister.html). For more information, contact Judith Wellman: historicalnewyork@me.com. To nominate historic sites relating to women’s suffrage, Click Here. For current database, Click Here. Feel free to pass this information around to anyone interested.